Kid Faze, born Matthew Fontil, is a Miami native who knew that music was his calling from a young age. Under the influence of his uncle, Marze Frascati, he was encouraged to write his first raps in the 5th grade. Then, after getting an iPod in the 8th grade and making several visits to his friends who collected music, Faze discovered the likes of The Notorious B.I.G., Lil Wayne, Lupe Fiasco, T-Pain, Kanye West, Jay-Z, Rick Ross, Young Jeezy, and T.I. He understood that it would not be easy to get into the music business as he realized that he would have to have connections and a sufficient amount of swagger. Already equipped with half of the equation, he started promoting clubs with some friends in high school under the name Too Live. When he later moved to Orlando for college, he began thinking about his career on a much larger scale. Kid Faze began a new journey at the University of Central Florida as an engineering student. He had the notion that he could make money with his degree while keeping music as a side project. His engineering studies didn’t last long as he soon had the epiphany that if he’s going to do life, he’s going to do it the way he wants. He changed his major to music with a minor in business and creative writing. This allowed him to finally give music a full shot, and by taking on a creative writing minor, he was honing his skills as a writer. “Rap is poetry; to express it, you have to not only feel it, but also translate it properly,” said Kid Faze. His first mixtape, ‘Free Food’ was a learning experience. He told personal stories in an entertaining way. While most people would shy away from getting so personal, Faze knew that with writing comes confidence. Excelling in flow, imagery, and swagger, his writing carries the story while his performance embodies the feeling. There’s a certain attitude that projects through his music because he’s willing to put in the work, and make it count. 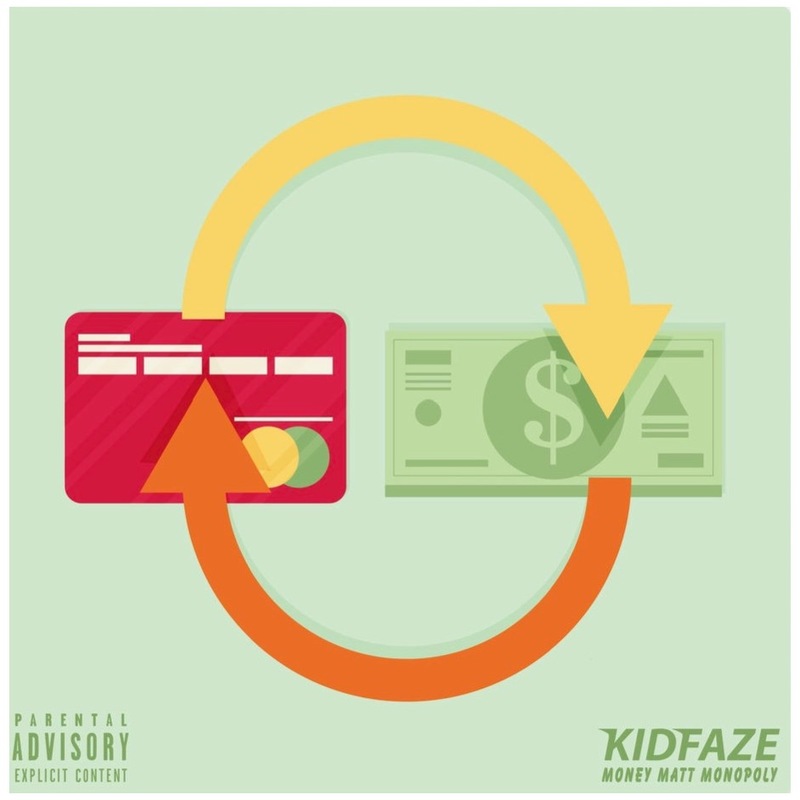 His latest release, ‘Money Matt Monopoly’, serves as a testament of the continuous perfection of his craft. He strives to be not only be a rapper, but also to operate a label to push other acts. Recognizing the hard work that needs to be put into this industry, Kid Faze wants to promote acts that reflect his passion and grit. In order to reach this height, he has to lead by example. By taking his skills from promoting, and directing that energy towards his music, he can trust that a good product is being put out. Ultimately, his goal is for Hip Hop to be globally accepted even more. Even further, he wants it to achieve timelessness. In the same way that Michael Jackson and Freddie Mercury are solidified in history, he wants rap artists to be held to the same standard.